HΨ Cuvée is a amber living beer of pure barely malt, with high natural bottle referementation, craft-brewed with the same method used for the Champagne, following an ancient recipe. 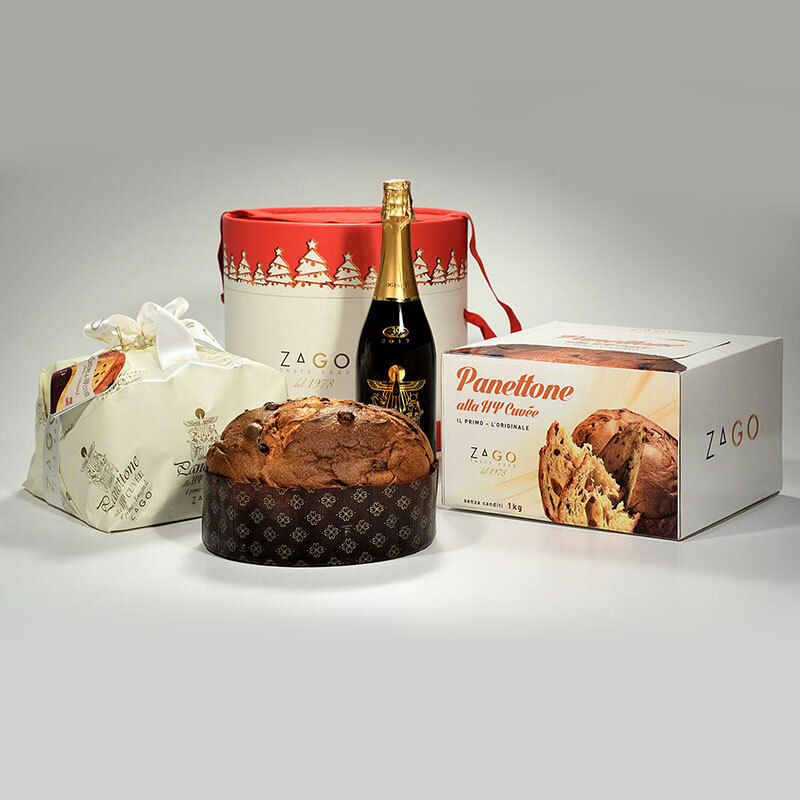 Zago created the first beer Panettone by adding the Hy Cuvée red beer in the dough. This beer is produced by Zago itself with the Champenoise method. The result is a Hy Cuvée craft sweet loaf, rich with raisin but without candied, created with repeated dough and long rising. Sourdough, flour, egg, butter, sugar and raisin: these are the fundamental and high quality ingredients that, along with the HY Cuvée, allow us to create a super soft Panettone that recalls the flavors and tastes of an extraordinary Malt Cuvée. This Panettone is produced with natural yeast, call sourdough because it is possible to obtain the daily fresh yeats from it.